Pomerol - owned by S.Garcan-Cathiard, this 6 ha property produces on average 2,800 cases per year. Located in the centre-east of the Pomerol appellation, next to Ch.Clinet, the property shares a similar climate to that enjoyed by both St.Emilion & Pomerol: more continental than the maritime Médoc with generally more spring rainfall, though less in summer & winter. Its vineyards (Merlot 57%; Cabernet Franc 36%; Cabernet Sauvignon 7%) lie on sandy-gravel topsoils, underpinned by a hard-pan clay subsoil. Fermentation in wooden vats before 24 months of maturation in new oak barrels. 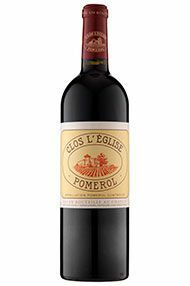 A strong effort for the vintage, the 2008 Clos l’Eglise offers notes of espresso roast, Asian plum sauce, black currants and a hint of oak in a fleshy, medium to full-bodied style with outstanding purity, texture and length. It can be drunk now and over the next 10-12 years. 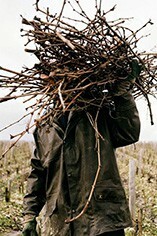 Kudos to proprietress Helene Garcin and winemaking consultant Dr. Alain Raynaud.